I've been on a leopard kick the past couple of months, and can't stop adding the animal print to my wardrobe. 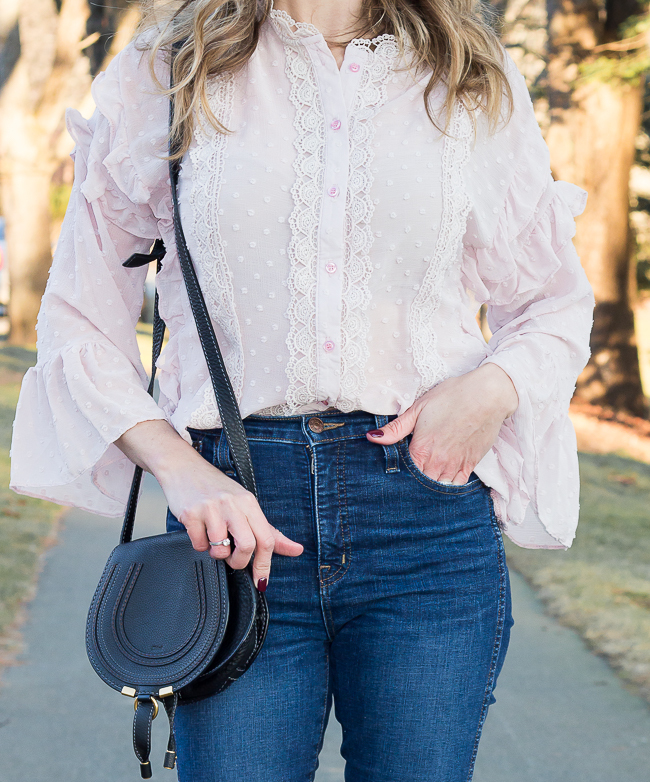 Whether in the form of clothing, shoes, or accessories, I love wearing the print as it adds a fun and bold statement to any outfit, yet it acts as a neutral as it goes with everything! 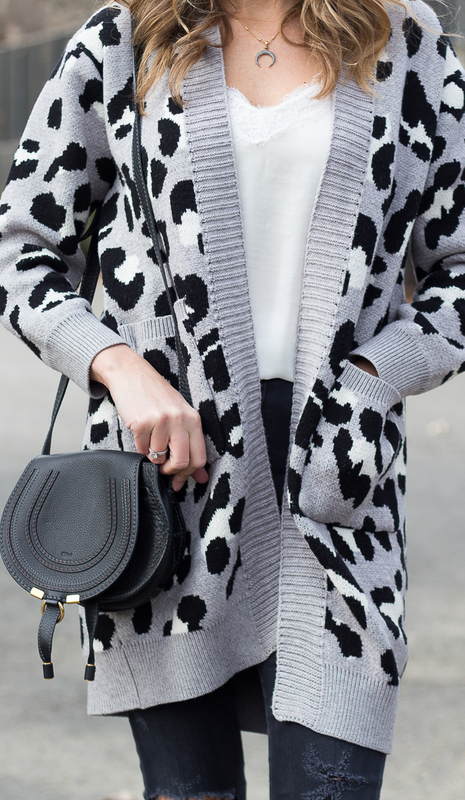 This grey leopard cardigan is my most recent addition, and one that has been on repeat the past couple of weeks. Not only is the oversized fit cozy, but I love the patched pockets, and how grey color tones down the loud print, just a touch. I've been wearing it non-stop with both jeans and leggings, but am thinking about wearing it over this fitted black dress for a New Years Eve gathering with friends. 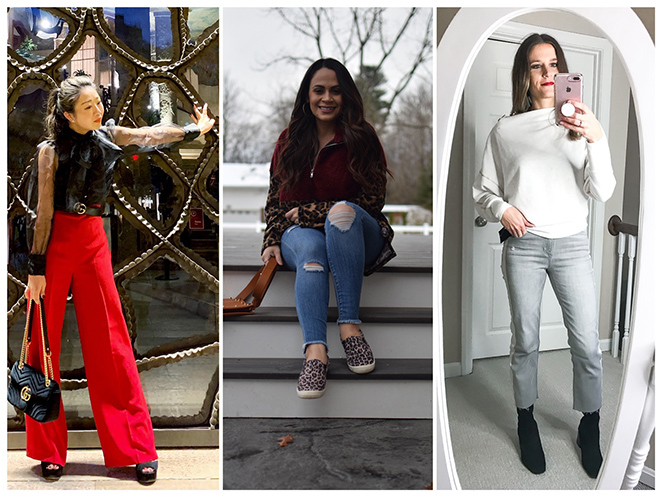 If you're looking for cute leopard print sweaters, Shein has a great selection! I also picked up this one and have been wearing it with my high waisted jeans. Also, if you order by January 1st, you can take an additional 20% off your order with the code: 4threadsforthomasblog20. I'd love to know, have you added leopard or any animal print to your wardrobe? The final countdown has begun, as Christmas is just four days away! I completed all of my holiday shopping this morning, so I can spend most the weekend relaxing! Speaking of Christmas, how perfect is this cropped gingham sweater for the holiday? I love the cropped cut and mock neck, while the red and white checks add a festive feel. I paired it with my coated black jeans and pumps for an easy holiday look. 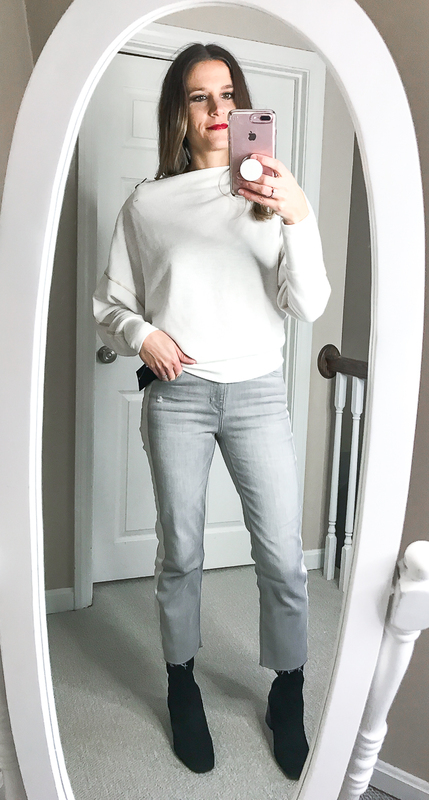 Because this sweater is cropped, I decided to layer a cream camisole underneath. I love how the silky material added a dressier feel. If I were wearing it with blue jeans for an everyday look, a cotton white tee would be a great choice. Another fun way to style this sweater would be with a pair of super high rise pants, or it would look cute layered over a fitted dress. There is something about the holiday season, where all I want to to dress in is cozy clothing. I could literally live in my jogger sweatpants and a cozy sweater, and sit on my couch staring at my tree all day (which is basically what I did yesterday #lazysundays). However, along with the holidays also comes parties and family gathering, which in most cases, sweatpants are a no-go. That's why I'm happy that I found this sherpa coat. 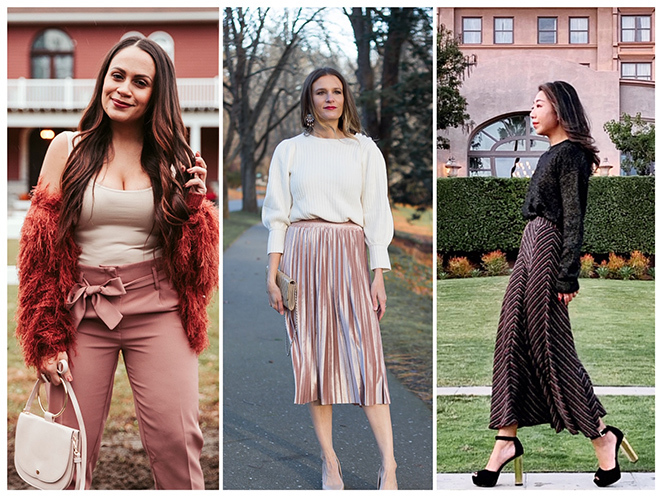 Not only is it cozy, like wrapping yourself up in a blanket, but it can be dressed up, making it the perfect piece to wear to a holiday party. Pair it with jeans and a blouse for a causal party, or wear it over a dress for a formal event. 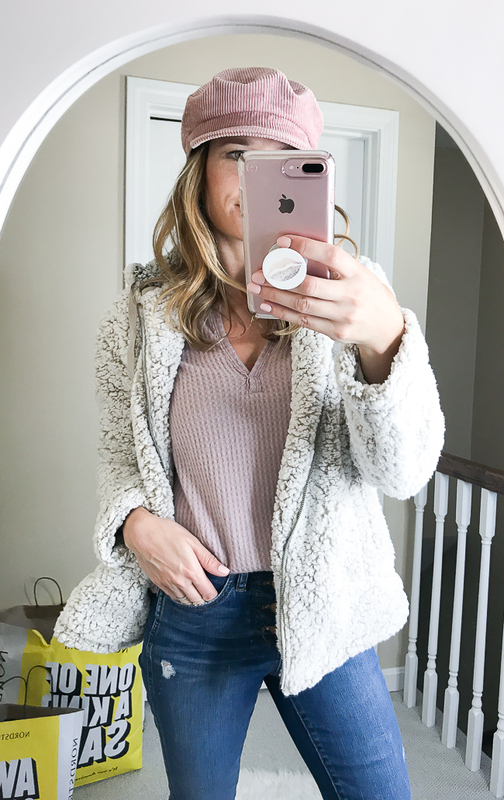 I'm thinking that I'll wear this coat over a little sequin number for a perfect NYE outfit. 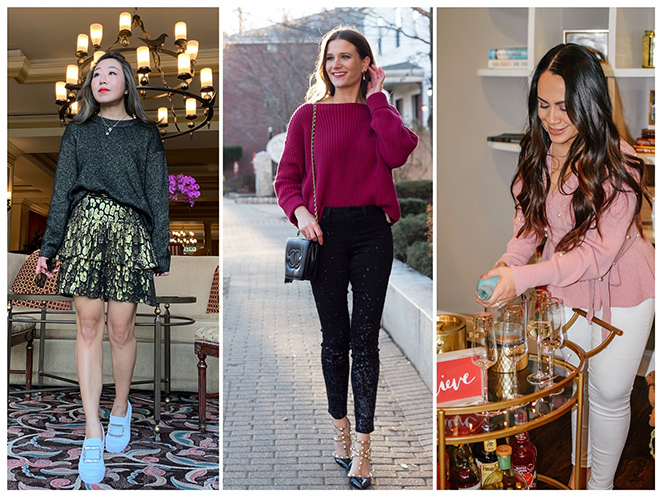 No matter, I love that it adds a bit of coziness and warmth to any outfit, making getting out of my sweatpants for a holiday party a little easier. Let the holiday parties begin! 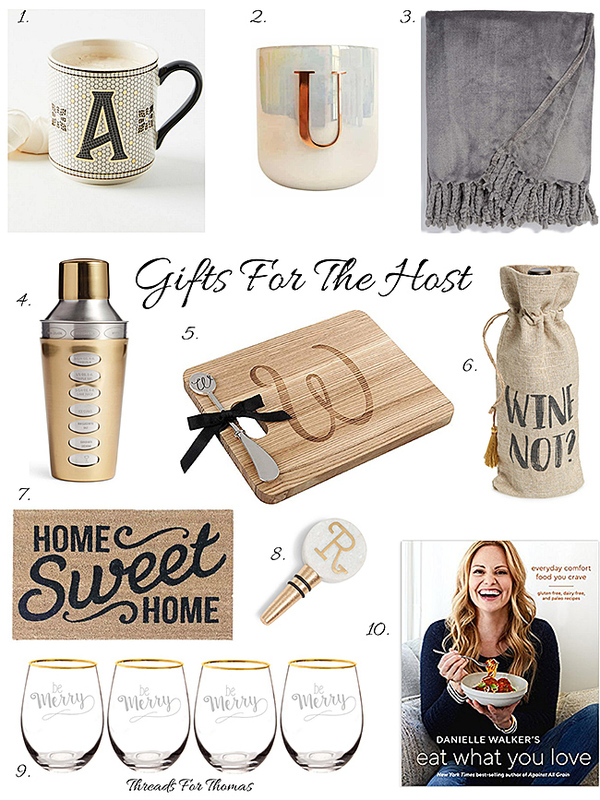 Whether you're headed to a night out at your boss's house, or spending the weekend with your family, this gift guide will make sure that you don't arrive empty handed! One of my favorite ways of making a gift more personal, is to monogram it, and that can be as simple as adding an initial. In my opinion, one can never have too many mugs (or wine glasses), and this cheese board is perfect for the person who likes to entertain, and it's under $20! For those who love to spend time in the kitchen, a cookbook makes a great gift, and my personal favorites are by Danielle Walker. She makes dairy free and gluten free dishes taste SO good! And of course, one can never go wrong by showing up to a party with a bottle of wine, and this wine bag makes it extra special. The feature blogger is Kate of Kate Style Petite. I'm loving her black and camel combo. It's classic, yet so chic. Make sure to visit Kate's blog and say hello.